Download the Nvidia GeForce 332.21 WHQL driver as released by NVIDIA. As always, this driver is also bundled with GeForce Experience (v1.8.1) which provides the easiest way to keep your drivers up to date an your games optimized. In addition, this version supports the latest new features and Beta functionality. This includes the Beta version of GeForce ShadowPlay and ShadowPlay Twitch Streaming. Leveraging the dedciate hardware inside GeForce GTX GPUs, this new capture and streaming tool offers exceptional features and performance. Also included in the latest version of GeForce Experience is support for NVIDIA GameStream. Combined with a SHIELD device, this allows games on a GeForce GTX-equipped PC to be wirelessly streamed to another room so they can be enjoyed on the couch, in bed, or nearly anywhere in the house. This 332.21 WHQL download release contains amongst others a SLI profile for Thief, fixes some browser-related stability issues observed with GeForce GTX 400 and 500 Series cards. Reported are performance increases for GeForce 400/500/600/700 Series GPUs in several PC games when compared to the GeForce 320.49 WHQL drivers. We have a discussion thread open on these drivers right here. Thanks to Spets for spotting these. New in GeForce 332.21 WHQL drivers. Eve Dx11 profile. Did it get a DX11 update? 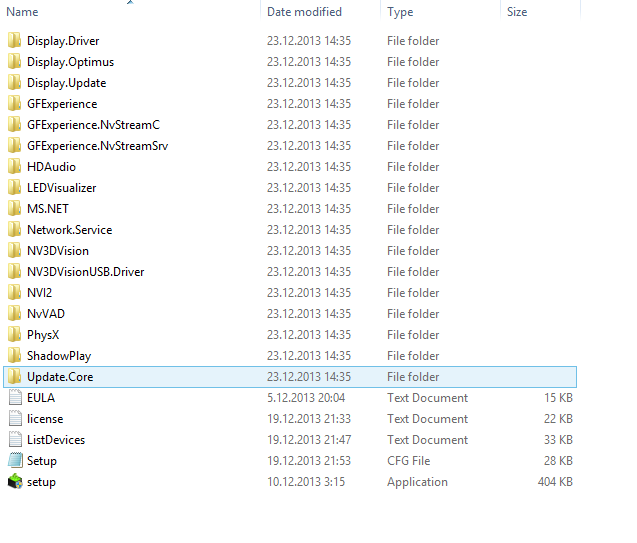 why driver 332.21 PhysX System Software 9.13.0725 and driver 331.93v2 PhysX System Software 9.13.0927 is the one that I have? The new PhysX is slower. Well, I hope they've at least fixed vsync breaking with FPS limiter. "Plants vs. Zombies Garden Warfare – created profile"
oh ok, plants vs zombies SLI profile......... while many other AAA titles that people actually care about still dont have proper SLI, good job, nvidia! Dling right now, its on the servers. They said on 331.93 BETA that next geforce driver will contain many fixes. They lied, waited for this for how long ? ""these are not the drivers you are looking for"""
Wait so what is this, new WHQL? They changed the taskbar icon.Nice changes, lol. This is not the classic PvZ from years ago. It's a new action 3rd person shooter based on PvZ not yet released. Yah and Thief - which isn't out for several months. I really wish CF wasn't so dodgy as I would probably take a chance on AMD again at this point but I have had so much trouble with CF in the past that I am reluctant to risk it again. Thanks , i have 30% increase in most games now.... kidding of course. Profile issue is still there. I have a small issue. When I choice HL2, or Shadow Warrior profile, it returns back to first in the list. I can change them with Inspector, but not within nVidia CP. Anyone have any idea what is going on?